We’re having a low-key Christmas this year. We’ll celebrate with family and friends at home, then we’ll head out to our rural block for a few days. My husband’s family have their traditional celebration on Christmas Eve, while my family celebrate on Christmas Day. The family Christmas celebration in Home for Christmas is a collage of the best (and worst) of the many family Christmas celebrations I’ve attended over the years. We’ve been thinking about getting another dog, after farewelling our senior dog mid-year. At Christmas time, the animal shelters overflow and while our new family member might not turn up wrapped under the tree, I have a good feeling that the Christmas season will bring a new ‘furkid’ to join the Greenes. We’re in Queensland, so Christmas is always hot and humid. We alternate a cold buffet lunch – ham, seafood and salads – with a barbeque dinner. Last year, we found a sensational rural butcher who sourced his meat locally and our barbeque was the best one yet. I wish that butcher was two hours closer to our house so I could shop there every week! Sift sugar, coffee and cocoa together into Mixmaster bowl, add crushed biscuits and mix well (slow speed). Melt Copha and mix in. Add condensed milk and vanilla essence and mix well, then beat using Mixmaster until thick. Chill in fridge for at least 30 minutes. Pinch off pieces of the mix and roll into ten cent piece sized balls. Coat with chocolate vermicelli. Refrigerate until required. Seafood, mangoes and lemon sorbet. Pace yourself. Each year, I designate a day during the festive season when we step away from the fast lane and do nothing. It’s our “recharge” day. I love Christmas romance and I always make sure I have a few under the tree. I haven’t had a lot of time to go shopping this year, but I’ve started my 2014 Christmas wish list with A Season to Remember – a Christmas anthology from Noelle Clark, Eva Scott, Susanne Bellamy and Elizabeth Ellen Carter. 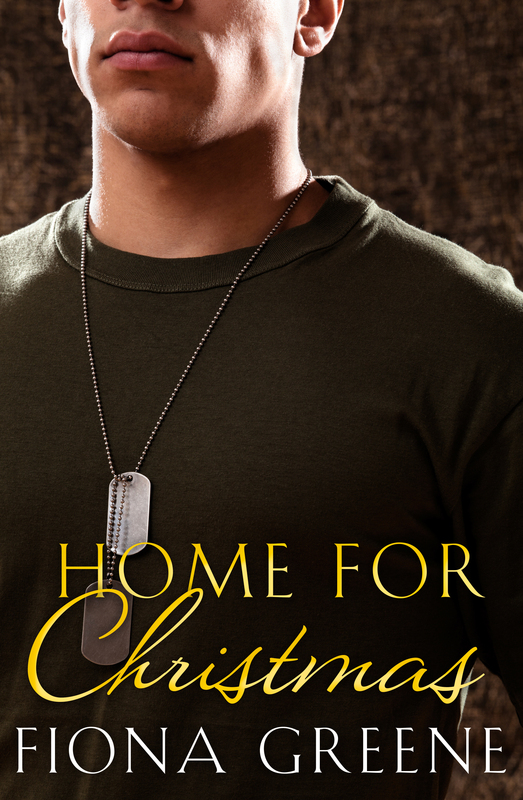 By far, my biggest achievement in 2014 was seeing Home for Christmas published by Escape Publishing. A close second was securing a new day job, which starts just before Christmas, in a new hospital we’ve been designing since 2007. We also moved house into a renovator’s delight and managed to stay sane and reasonable, which is an achievement in itself. More writing, less hours spent at the day job and definitely less renovating. Wish me luck! Sergeant Tate McAuliffe, stationed in Afghanistan, opens his Christmas care package from Australia and is stunned by both its contents and the sender. Fun-loving Christmas tree designer Layla Preston is a breath of fresh air for loner Tate. Although they’ve never met, their email friendship quickly develops and their feelings for each other deepen. But Layla knows the heartache that loving a soldier can bring and when Tate is injured, her deep-seated fear drives them apart. With their relationship in tatters, can Layla and Tate work through their differences, so Layla can welcome Tate home for Christmas? Congratulations on achieving so much in 2014 and best of luck for 2015. Hi Suzi – it’s been a big year. And I’m pleased to announce that the fur-baby has arrived early. A lab cross shepherd called Jade. nine weeks old and cute as a button. My Christmas planning is in array, but I don’t care because she’s such a great pup. merry Christmas everyone.